By now you know the deal. Dozens of demos from Madonna’s upcoming 13th album, then called Iconic, famously leaked just a week before Christmas and flooded the internet. Team Madonna quickly went into high gear finishing 6 of the songs, mastering them and releasing them via iTunes. Within the hour, the songs dominated the Top 10 of the iTunes chart and sent the pre-order of the album, now renamed Rebel Heart straight to #1 in 47 countries. We previously reviewed the first 6 songs of Rebel Heart, and now, the day after her Grammy performance of Living For Love (which was the most watched performance of the night) we have 3 more officially released tracks from Rebel Heart. 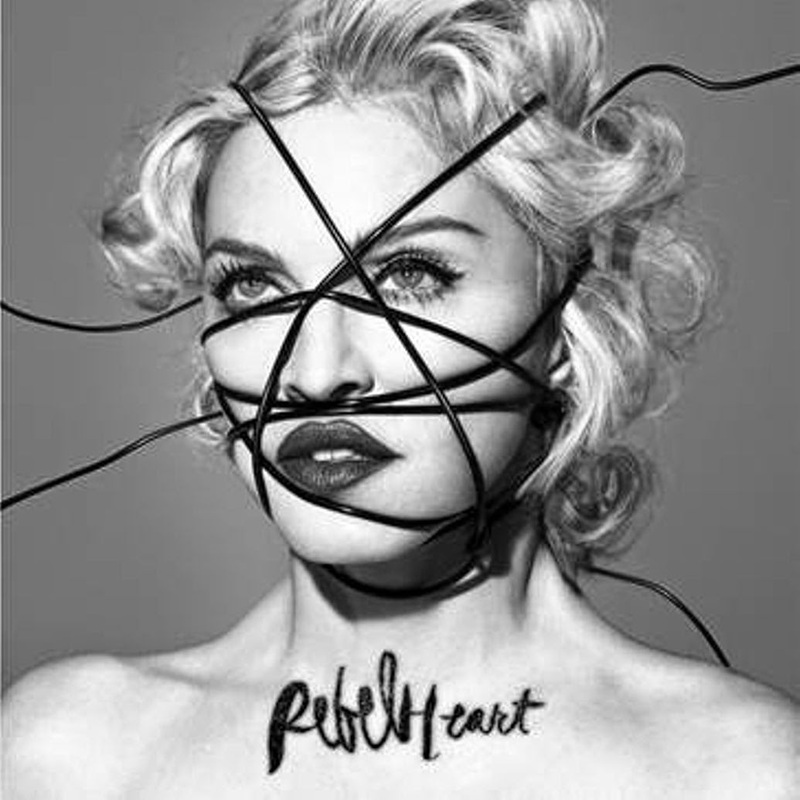 Hold Tight, the 7th track on Rebel Heart, is a dreamy song that masterfully mixes dance with arena rock. Hold Tight finds Madonna in beautiful voice singing about a love that can help to get each other through. The hope in the song lends wonderfully to Madonna’s soft, but firm tone in the verses before blossoming into a confident lover in the choruses. Hold Tight would do well serviced to pop outlets, while the inevitable remixes would no doubt find their way to the summit of the Dance charts. While Madonna is not really known as being the most confessional songwriter out there (although long time fans know differently), Joan of Arc truly takes the audience to places Madonna herself has never really talked so openly about. Essentially, Joan of Arc is a confessional song about the toll that it takes on the most famous woman in the world when the media (and sometimes public) criticize every move she’s made. Much like Joan of Arc, who fought for the people but was then killed for being a heretic, Madonna can nearly say the same. Madonna herself acknowledges this with the line “I’m not Joan of Arc, not yet.” This guitar strummed, smooth song is the most pop song on Rebel Heart thus far. Extremely catchy, Joan of Arc is just another highlight on an album of highlights. By looking simply at the featured players on the song (looking at you Mike Tyson), one would think Iconic is immediately cringe-worthy. That would be a mistake on your part. Iconic, which would have been the title track of the album had the album demos not leaked months early, is a clever play on words by the biggest icon of them all. Madonna tends to really excel at these motivational dance tracks (see: Give It 2 Me off of Hard Candy) and Iconic is no different. A throbbing, almost immediate beat weaves throughout the song giving Madonna a platform to command us all to be our very best. Her use of Chance The Rapper is an intriguing choice, as he’s not the most famous hip hop artist in the world (although he is a lyrical genius). Chance doesn’t disappoint on his verse. The second featured player is none other than Mike Tyson himself. While this had much of the internet wondering why the boxer would be featured on a Madonna album, one has to look no further than the name of the track itself. Tyson, a boxing icon, opens the song with a motivational spoken word piece. Iconic indeed. With the release of these three new tracks, Rebel Heart is shaping up to be one of the best Madonna album’s of all time. And with an artist who’s been on top for over 30 years, that’s certainly saying something.